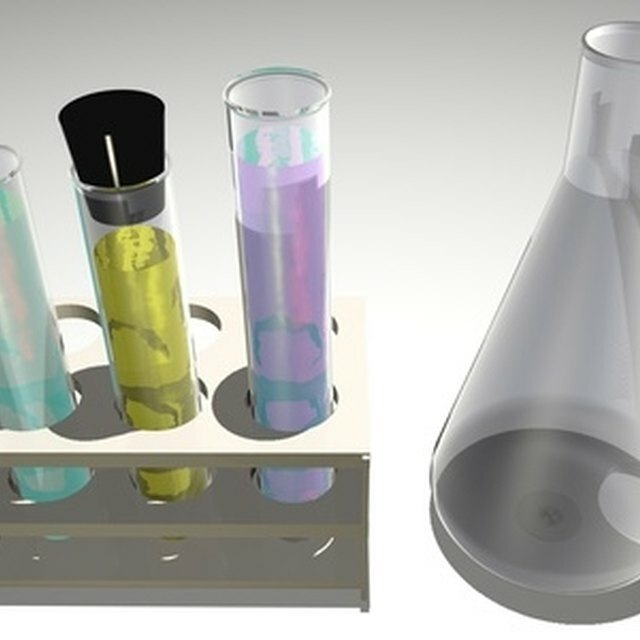 A beaker is a cylindrical container used to store, mix and heat liquids in laboratories. Most are made of glass, but other non-corrosive materials, such as metal and heat-resistant plastic, are also used. Beakers usually have a flat bottoms and a lip around the top. They range in size from one millimeter to multi-liter. Bunsen burners, heat plates, stirrers, safety tongs, safety goggles, gloves and lab coats are tools commonly used when working with beakers. Pour liquid into the beaker; pour slowly to avoid splashing the liquid. 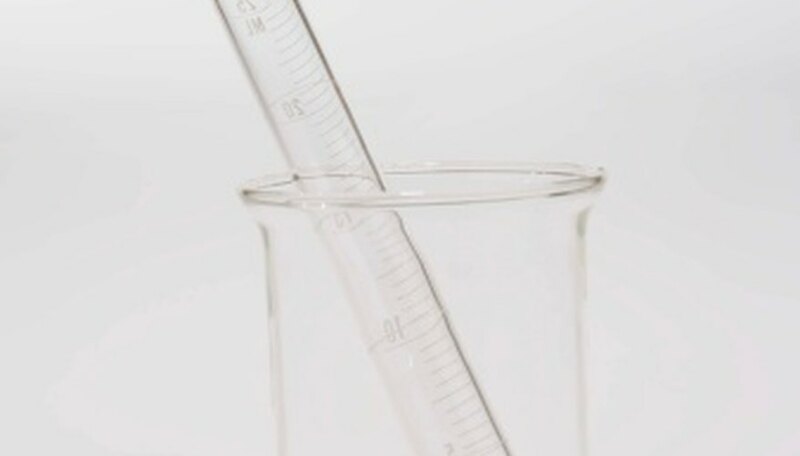 Use the measuring lines on the beaker to approximate the volume of liquid in the beaker. Stir the liquid inside the beaker with a spoon or stirrer. Center the beaker on a burner or over an open flame to heat the liquid, if necessary; don't fill the beaker more that 1/3 when heating and always use safety tongs when handling a hot beaker. Pour liquid out of the beaker by using the spout in the lip around the top of the beaker. C., Robert. "How to Use Beakers." Sciencing, https://sciencing.com/use-beakers-8179802.html. 24 April 2017.